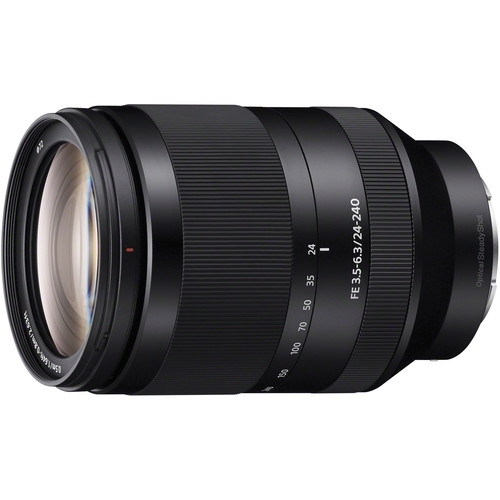 The FE 24-240mm f/3.5-6.3 OSS Lens from Sony is a full-frame compatible E-Mount telephoto zoom lens with the versatility to stretch from true wide-angle to super telephoto perspectives. 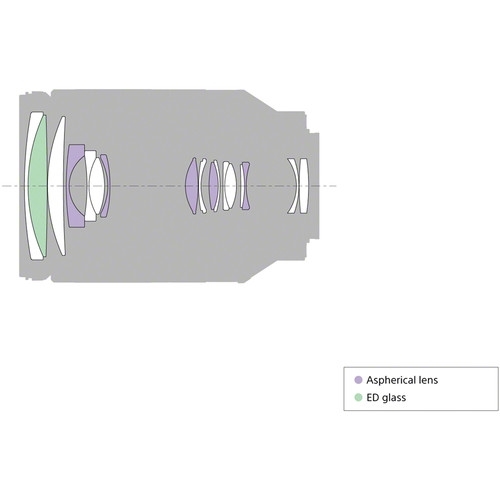 Its advanced optical design includes 5 aspherical elements and 1 ED glass element, achieving high-quality performance with reduced chromatic and spherical aberrations in a compact design. Optical SteadyShot image stabilization facilitates sharper imaging in low light situations and when shooting at long telephoto lengths. An internal focus system means that only the central optical elements move during focus which enables faster autofocus and a shorter minimum focus distance. Also, the lens does not extend during focus and the front element does not rotate which is more practical, especially if using a polarizer filter. A linear AF motor drive also helps to achieve fast autofocus and a circular 7-blade aperture helps to create smooth and pleasing out-of-focus highlights. 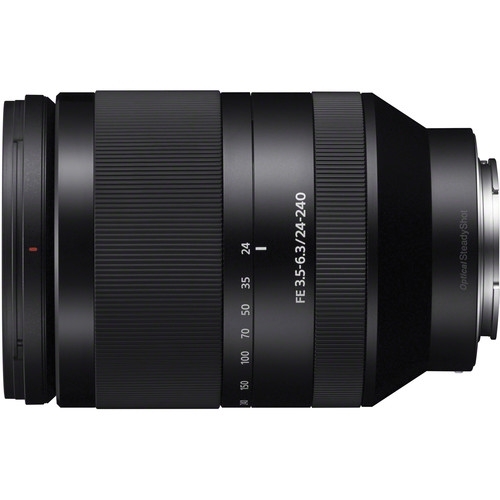 Like all other FE lenses, the physical design is dust and moisture resistant.